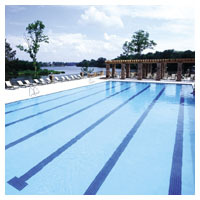 The pool and pool house for the Fairvue Plantation private country club, has become a much appreciated amenity of this upscale residential development. Sited on a peninsula that overlooks Old Hickory Lake, the pool deck offers expansive views of the lake and the historic Fairvue Mansion. The pool house is equipped with a full service kitchen to provide swimmers with food and refreshments. 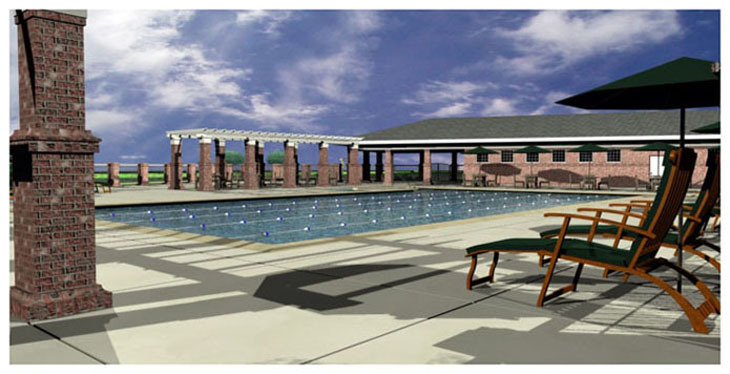 The facility also features men's and women's locker rooms with showers and changing areas, an Olympic size competition swimming pool, zero entry children's wading pool, and grassy lawns around the pool deck that can be used for sun bathing and outdoor parties.